I haven't been the faithful blogger that I really should be these past few weeks. I have truly let the art of life interfere with my art of everything else. School, to say the least, has been quite hectic. Our school is only in its third year and we have grown from 400 to just over 1600, with only adding 2 grade levels each year. So, we know that some families have lied, cheated, pretended, well just plain given us the incorrect address. Over the past few weeks our poor Community Information Specialist has made so many home visits to find catch people in the act of not living where they say they live. Our class has lost 2 students so far, but you know what that means. WHO WILL FILL THOSE DESKS? I shudder at the thought of having some newbies sit there and ruin everything we have worked on to get these kids where we need them to be! I am officially on break and will be going to Orlando for 1 day, yes you heard me, 1 day. It's a quick trip with my girls so big miss can go on an interview that is scheduled for tomorrow (they could have interviewed her before she left college, but that would have been too easy). Hubby can't come, but the girls and I will be squeezing in a visit to the Magic Kingdom (triple diple joy joy!!). I will try to post this week, but if school was hectic, I am sure the week before Christmas will be more than eventful. Keep an eye out for the rest of the Houghton Mifflin Theme Focus Units over the break, as I will be finishing up themes 7-10. I also promise a freebie full of cuteness if I reach 300 followers! You aren't alone! I've hardly blogged at all the last couple of weeks. Too much to do! Plus, I had a student move away and now I'm back to an even number- whew! But that means I'm the first to get any student that enrolls in January! Enjoy the break! 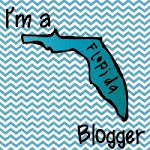 I'm planning on catching up on my blog stalking! I have had two leave and FOUR new students this year! I feel like I have a revolving door in my classroom! It is very stressful to get these new kids caught up with everything and I've had to do it FOUR times! I totally understand what you are saying! I feel like the rest of the class gets so bored while I am trying to review with my newbies.